We are a leading and established jeweller headquartered in Singapore. We have one of the largest retail networks, in Singapore and Malaysia and our retail stores are strategically situated in prime shopping malls. 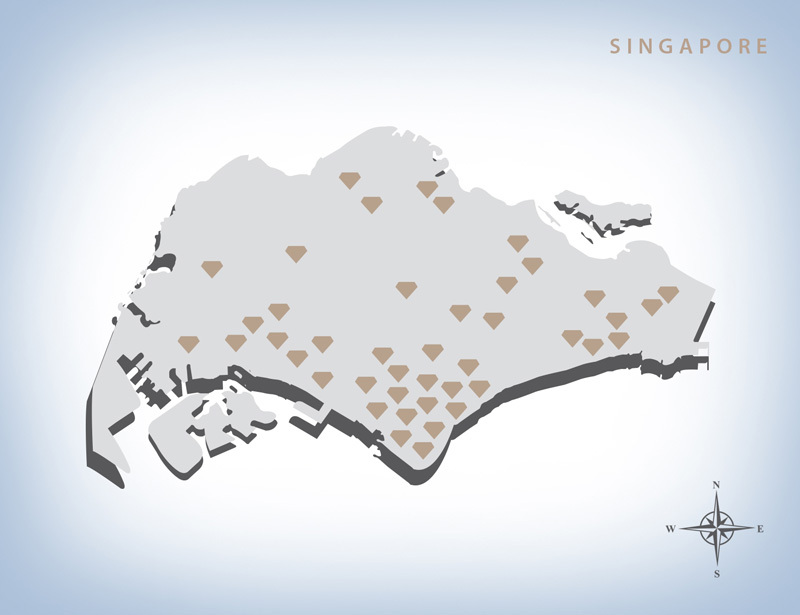 We have one of the largest retail networks in Singapore and Malaysia. Our retail stores are strategically situated in prime downtown shopping malls, such as ION Orchard and VivoCity, as well as popular heartland malls such as Tampines Mall and Jurong Point in Singapore. In Malaysia, we have presence across major states and cities, such as Kuala Lumpur, Selangor, Penang, Ipoh and Johor Bahru. Our strong retail footprint enables us to present exquisite jewellery products and mementoes and better serve our customers.